Oh man. I rarely go 3 days without eating Mexican food, so 3 weeks without my chips and salsa felt like an eternity! We did pass by a few “Mexican” restaurants in Germany and Austria and even considered stopping in one evening. But one peek at their menus full of BBQ wings and New York steaks and shrimp scampi (true story) suggested we might be better waiting until we got home. So we did. 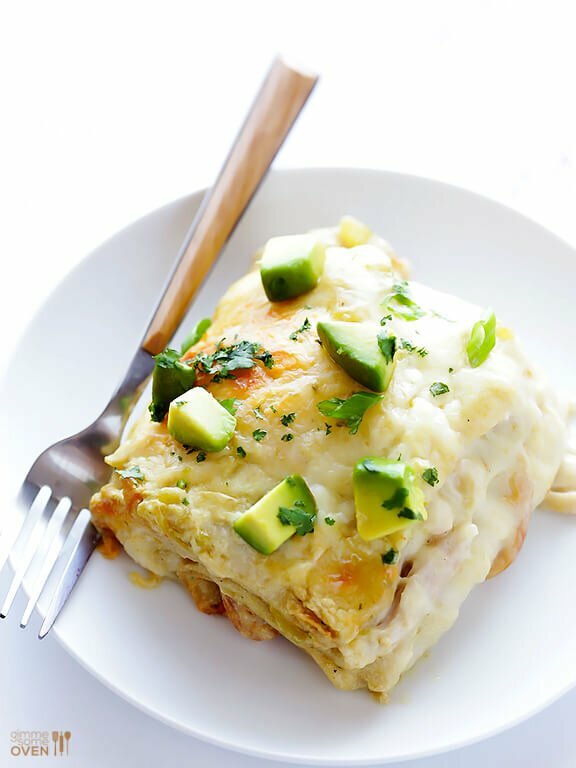 And now I fully intend to make up for lost time…beginning with this white chicken enchilada casserole recipe! 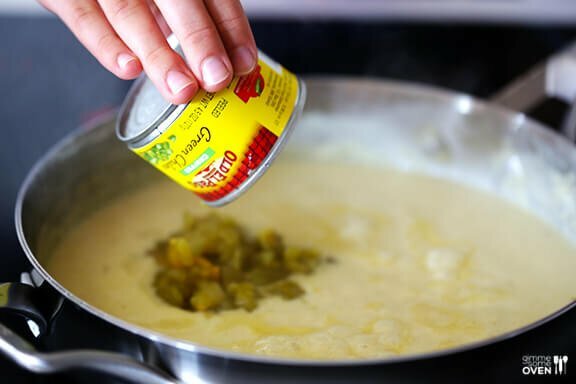 But in addition to the yogurt, the key to the sauce is to add an entire can of flavorful Old El Paso chopped green chiles (always a staple in my pantry for Mexi dishes), lots of chicken stock, and cumin. 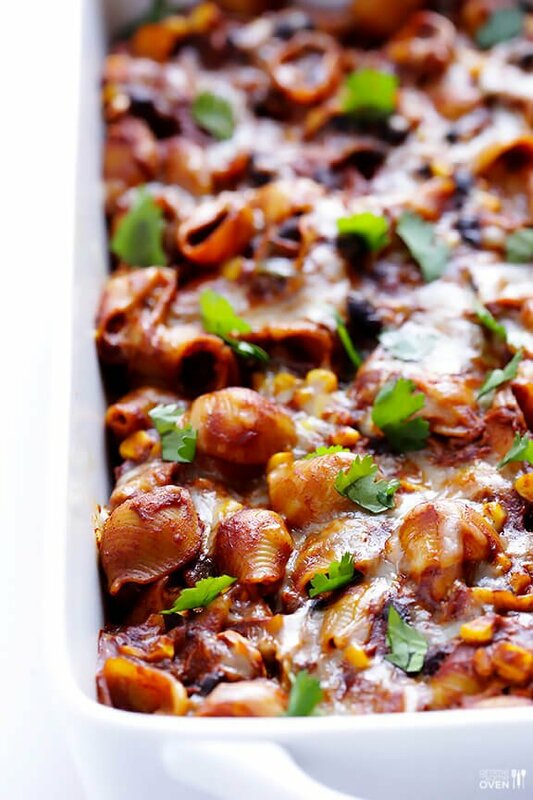 It’s a simple sauce, but surprisingly full of flavor just beyond the typical creamy base. 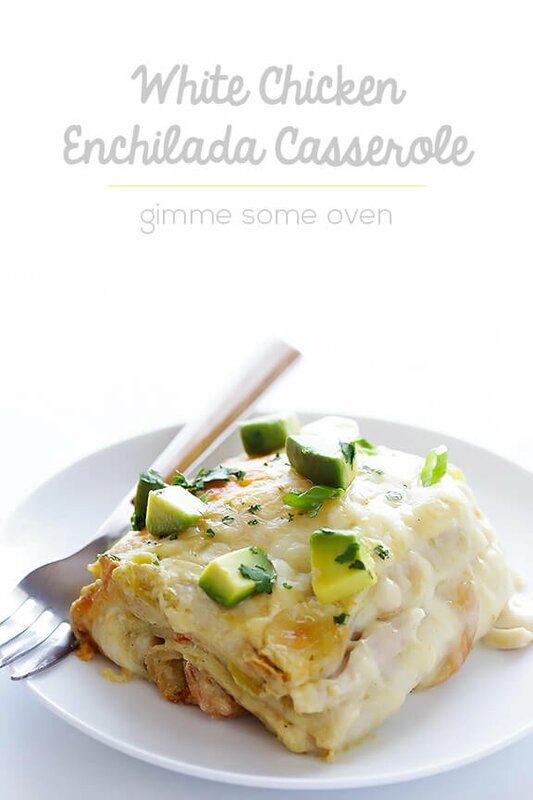 Then once you’re sauce is ready, it’s time to start assembling your enchilada casserole! 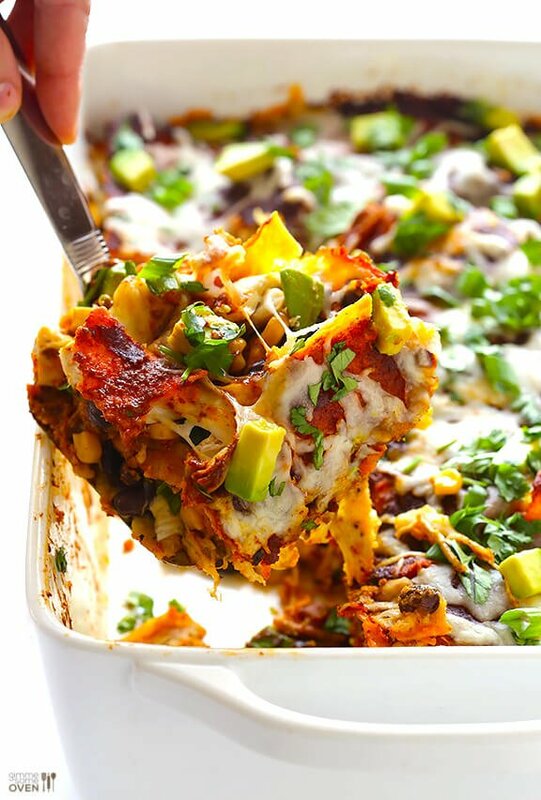 This is basically your typical white enchilada recipe, but instead of rolling them all up, you just stack the ingredients layer by layer. We begin with some halved soft flour tortillas. Then top those with a layer of the sauce. Then add a layer of cooked shredded chicken (I used rotisserie as a shortcut). 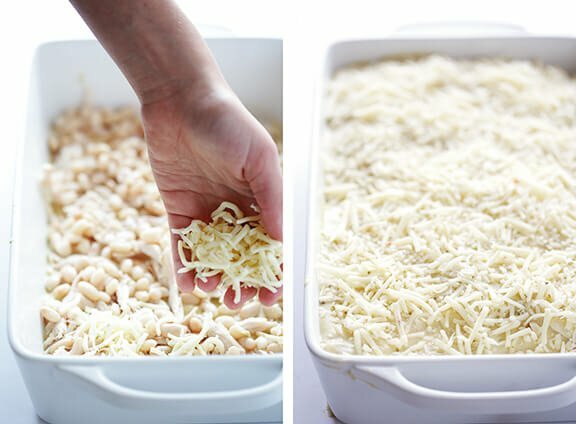 Follow that with a layer of white beans, which work great as an extra filler and protein source. 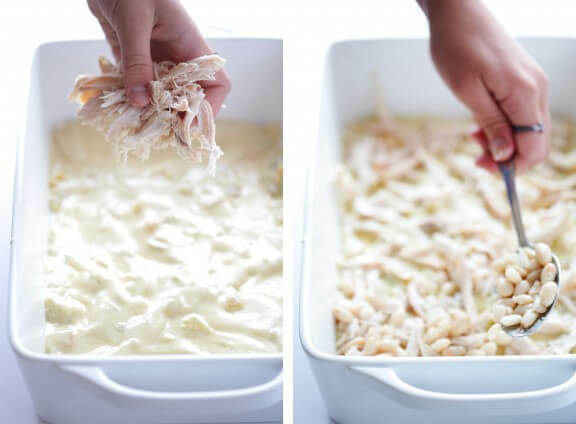 Then add a layer of shredded cheese. 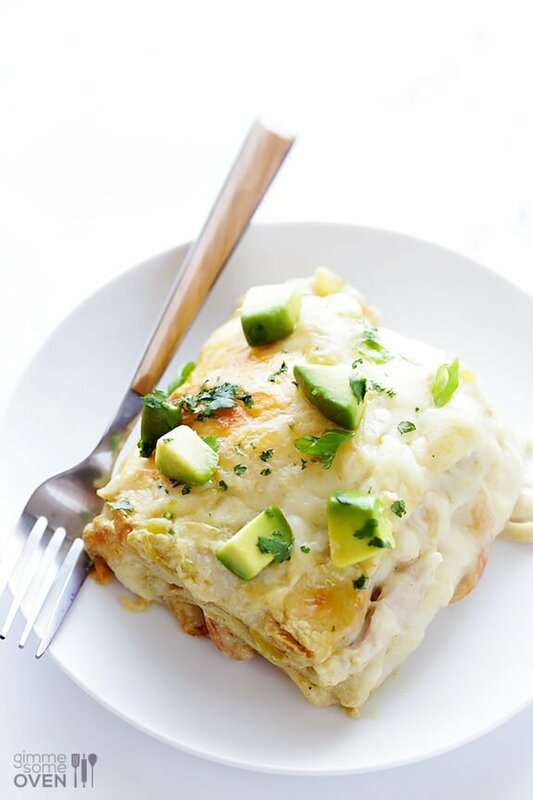 If you like milder food, I recommend using Monterrey Jack cheese. But I love making mine with Pepper Jack, or even the Habanero Jack cheese for some extra heat. Then repeat all of those layers, followed by a final round of just tortillas, sauce and cheese. Bake it all up until it is cooked. 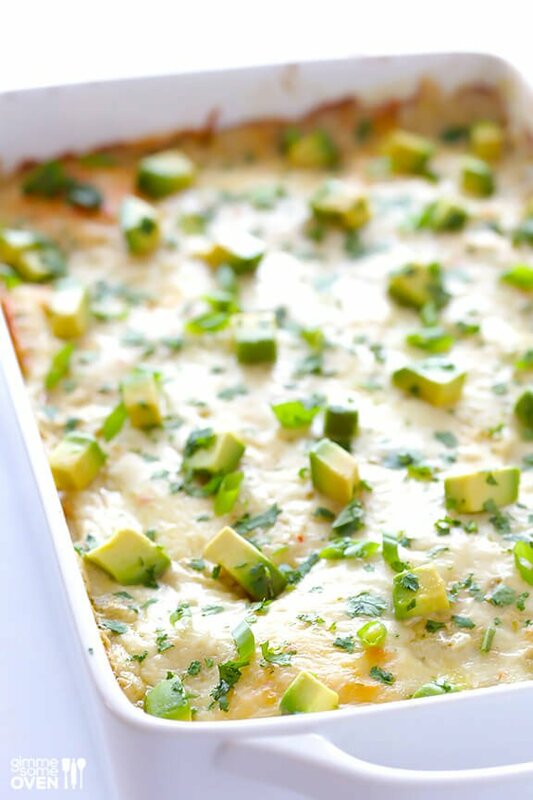 Then top the final casserole with some fresh avocado and cilantro as a garnish. And then serve it up!!! Seriously, whether you eat Mexican food all the time (like me) or just occasionally, I’m positive this will satisfy any craving. I served it to three different groups of friends, and then all gave it raving reviews before I left for Europe. And now after looking at it, I’m realizing that there’s basically no choice — I must make it again for my Mexican foodathon this week. It’s too good and too easy not to enjoy again. 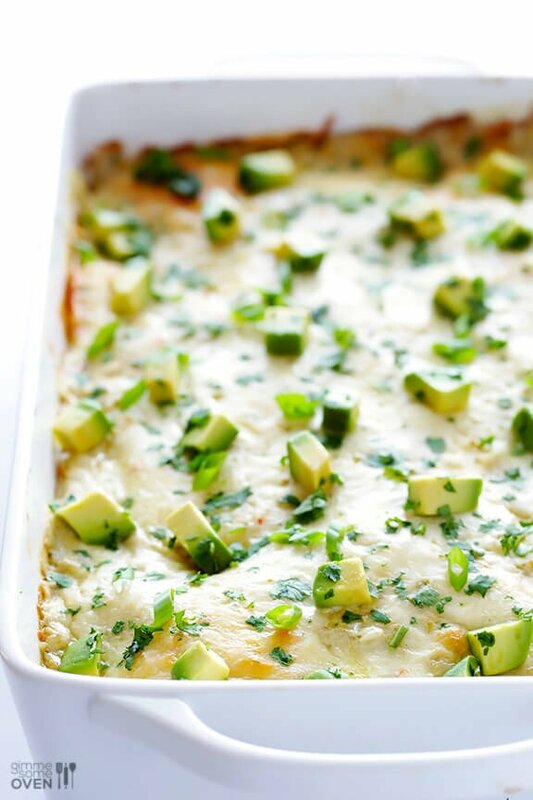 This White Chicken Enchilada Casserole (a.k.a. 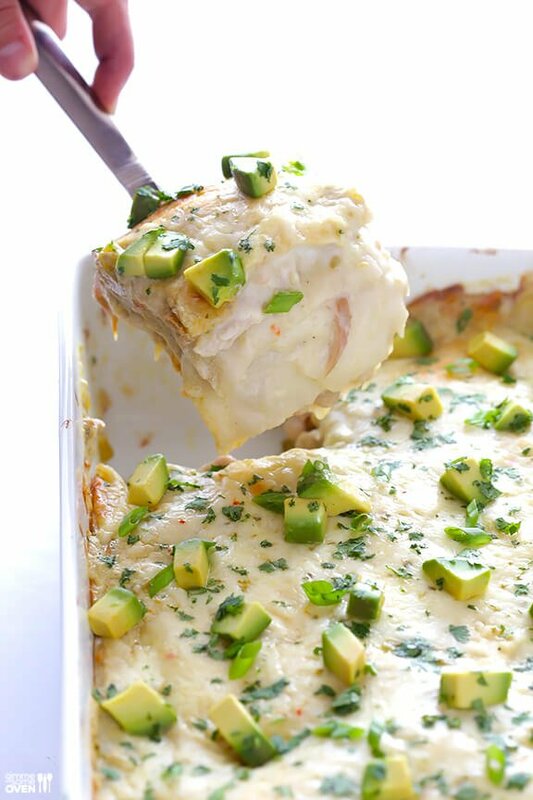 “Stacked White Enchiladas”) are made with a lighter, creamy sauce that everyone will love! Preheat oven to 375 degrees. 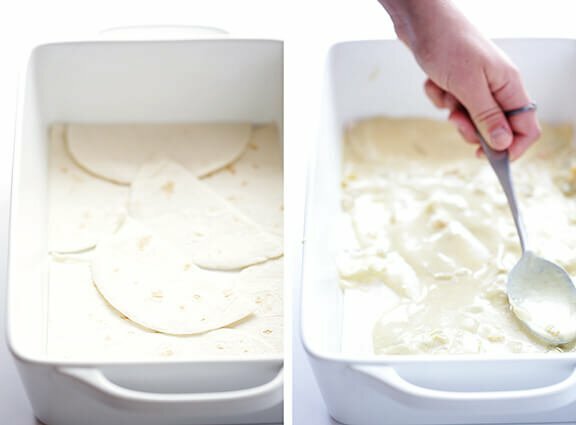 Grease a 9×13-inch baking pan with cooking spray, and set aside. Heat butter in a large saute pan over medium-high heat. Add flour, and whisk to combine. Cook for 1 minute until lightly browned, stirring frequently. Add half of the chicken stock, and whisk until combined. Then add the remaining chicken stock, green chiles, and cumin, and whisk until combined. Disclaimer: This is a sponsored post in partnership with Old El Paso. 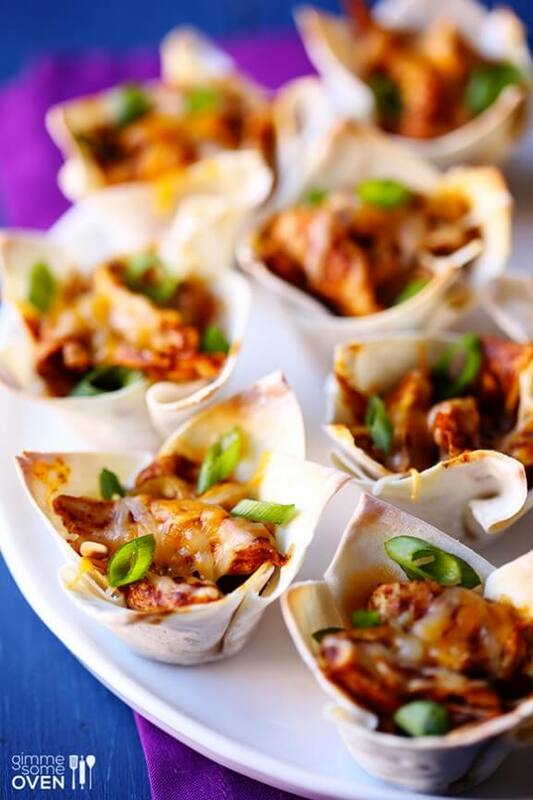 I am partnering with them and a group of other bloggers this year to develop some fresh Mexican recipes, which I love. But all opinions are 100% my own as always. Thanks for supporting the brands which help make this site possible.